So another week has passed. Which is a good thing as that makes it time for another Adventure. This week I decided to choose a pattern that has always been one of my favorites. 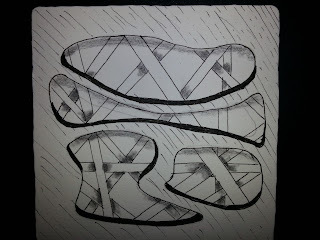 When I say always, I guess i mean since I learned Zentangle®, as it was one of the tangles I learned in my very 1st class. The Tangle is none other than Hollibaugh. If you need directions: Here is a link to it's page on Tangle Patterns. And here are the tiles I did - see i did two =D. A few updates on me and the sight, Though the pain is gone from the Shingles, I am still having good and bad days. I have never experienced something that makes me this lethargic before. 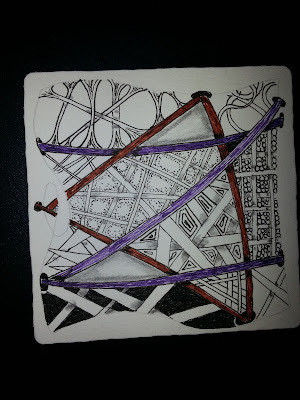 I am at least making through each day, and I have started Zentangling again. I have also started working on some updates to the web site...They will go up in the next few weeks. I have began work on the past slide shows also. They will be up soon. Thanks for putting up with me over the last few months, I hope I am getting all my injuries/illnesses out of the way for the next couple years =D. 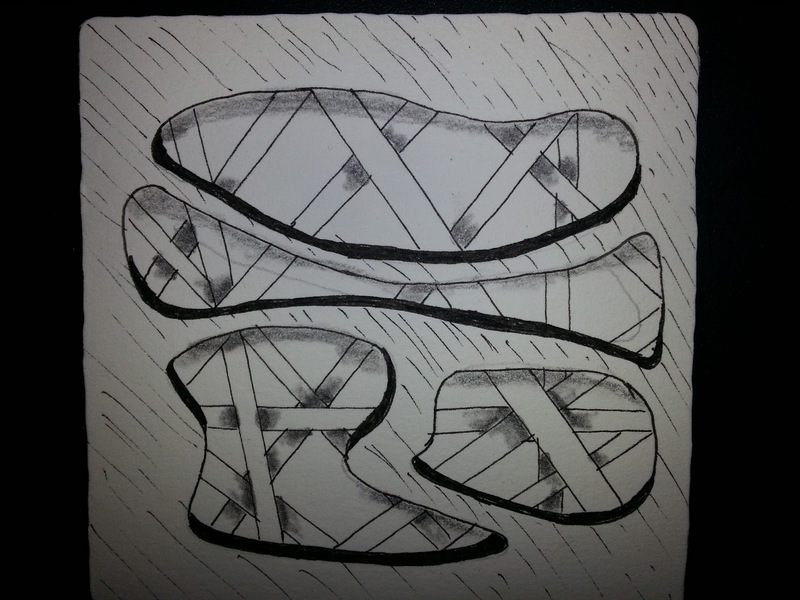 Have a wonderful week and Zentangle On! Please Note: When adding a link please link to the page with the Adventure, not your home page. Thank you! Oh Roy...how awful about the shingles. I have had the "shingles shot". My hubby too. But I don't think that is a guarantee! Just increases the odds in my favor. I laughed at Hollibaugh as I JUST did a tangle for the Diva challenge that was mostly Hollibaugh. But not a mono-tangle, of course. But I do love this tangle and I will try another one. I am being a little side tracked with en plain air painting right now...check out my June 13 post. Ginny, thanks for the sympathy. I would try to get the shot, but both my doctor and pharmacist told me I have to be 65 to get it??? Thanks again for these Adventures. Lila, you would be amazed at how hard I have to try to keep these as Monotangles. So do not feel bad about adding Panda. Your tiles are beautiful and original. Thanks for the tangle of the week, I love that one. Both tiles are gorgeous! I am really partial to the second one - love the peeking through effect! Hope you continue to get to feeling better. I like the way that second tile has parts that seem to jump off the page. Very nice! Your first tile looks like a fun city to explore and the second one is very inspiring, love the abstractness of it. Hope you continue to mend and all your excitement has slowed down for a bit. Great tangle for monotangling - thanks!